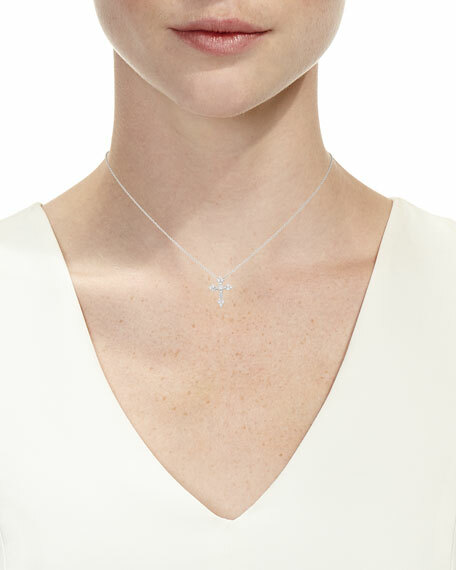 JudeFrances Jewelry cross pendant from the Provence Collection. Polished 18-karat white gold hardware and settings. 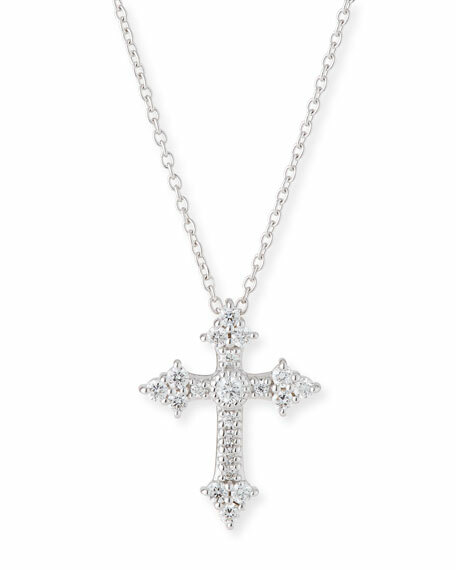 Cross motif with pavé and bezel-set diamonds.